I joined Barlow Robbins as a Trainee in September 2018 after working in a number of legal roles both in-house and with local firms. I completed my GDL and LPC at the University of Law in Guildford, and prior to this I studied History and Politics at the University of Hull. My previous seat was in the Residential Property team in our Woking office, where I was involved in a variety of transactions including the sale and purchase of freehold and leasehold titles and assisting clients with transfer of equity. 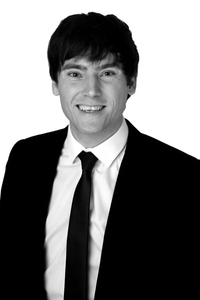 I am currently based in Guildford as part of the Corporate and Commercial team. Outside of work I enjoy watching and participating in various sports, including cricket, football and golf.